Gorgeous work by Rae Senarighi. Illustrious Fall Tour with Casey Tonnelly in November! 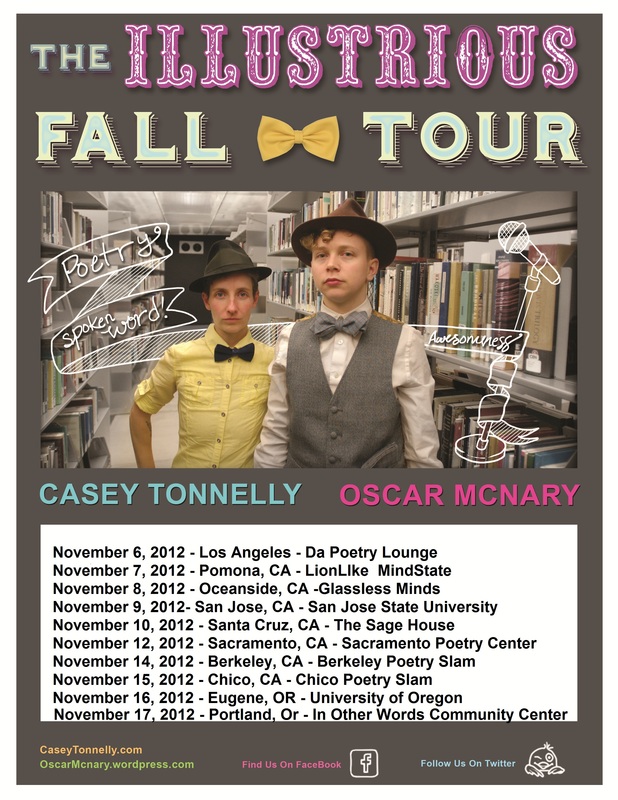 This November, I’m teaming up with Casey Tonnelly for our Illustrious Fall Tour of the West Coast! Our writing styles offset each other perfectly. I guide listeners into the underworld of the collective unconsious, and Casey makes the sun shine bright with their always funny story poems. 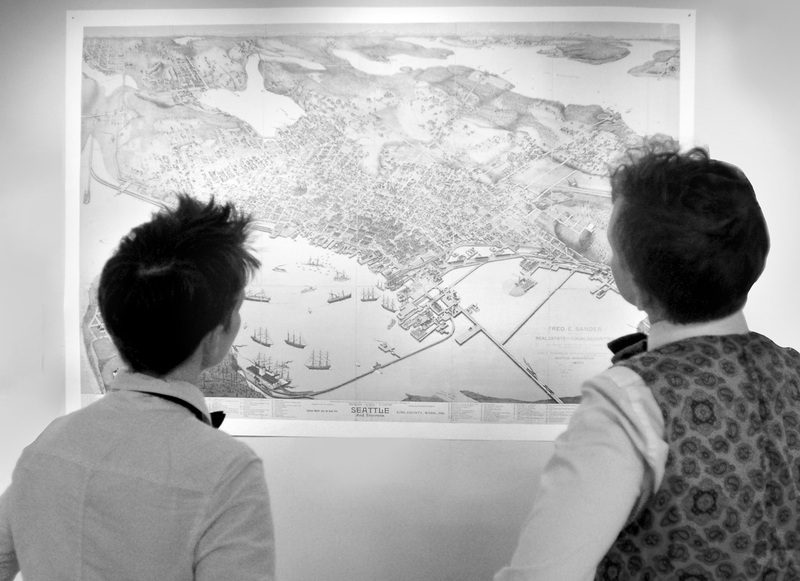 We’re still looking for shows in Oregon and Northern California for Nov. 3-5, 11, 13, and 17. Contact us at oscar.mcnary@gmail.com. Here are our dates so far. Come on out for a great show! Saturday, November 17 – Portland, OR – In Other Words Community Center, 14 Northeast Killingsworth Street, workshop at 6 p.m., performance at 7 p.m., suggested donation: $5, no one will be turned away for lack of funds. I’ve been listening to whatever I could find of Roger Bonair-Agard’s work for some time, but this was my first chance to hear him in person. It was encouraging to see someone give such a well-crafted, deeply moving performance entirely on page. I enjoyed so much of the feature that I could not write it down fast enough, but below are a few of the moments that I could capture. I hadn’t stayed for the slam portion for a long time, but I’m really glad that I did that night. Three of my favorite poems showed up. Although I didn’t make it to the third round, I won, because I got to hear such gorgeous poetry. Amber Flame made my history nerd heart happy with her Elvis poem, about how “Black music has never been allowed to be rock n roll for long. . . we are not allowed to own. We are allowed to mark.” Truth, and such a good poem. Lastly, Rose McAleese’s poem about sampling gets to the heart of creativity: “Shakespeare can take a tragic Italian love story and write his name at the bottom. The best artists do not copy. They steal.” This poem is absolution for the sin of unoriginality: an acknowledgment that none of us invented the world. Rose has a new book out, Strong. Female. Character. As always, I took notes in a dark bar, so some of these quotes may turn out to be paraphrases.